Benefit costs and salaries generally are higher for older workers than for younger ones. Employers with an efficient retirement plan design and prudent practices to manage the plan have a far higher percentage of employees ready to retire when the time comes. Employees with less financial stress can focus on work when at the office, allowing them to be far more productive. At The Bensman Group, we work with employers and business owners who care about their employees AND who want to maximize the business owners’ ability to defer the maximum amount of money possible so as to decrease their tax burden today. When the time comes to sell the business or when the business owner retires, we often already have created the tax strategies they need to keep the wealth in their families and make the charitable impact they want. How do we do these things? We use intelligent plan design to maximize business owner deferral. We combine design with plan elements that use behavioral economics to help employees act in their own best interest. Without spilling all the secret sauce here, we work with business owners who are deferring $250,000-plus per year in their plan, and with participants to show how they can have hundreds of thousands more in their accounts at retirement. We design the plan to make it as easy as possible for the business owner. We educate employees to know what to do and/or do it for them. How do we make these things happen? We are members of the elite Retirement Plan Advisory Group (RPAG). The group has almost 400 firms across the country that specialize in retirement plans and all the nuances, including ERISA protection, new Department of Labor rules, Financial Wellness, and a very deep bench of ERISA attorneys, CFA research and experts to help protect plan sponsors from litigation and overpaying. Together RPAG has more than $300 billion in assets under influence. As head of this practice at Bensman, I have an MBA from University of Chicago’s Booth Graduate School of Business in Finance and have studied the work of Nobel Laureates in behavioral economics to help implement what works in your retirement plan. We partner with industry-leading recordkeepers, actuarial and third-party administrators, and investment companies. As independent advisors, we can pick the combinations that provide the solutions that best fit our clients’ goals. We act as the quarterback, working with these experts as needed and coordinating with employers to ensure that they meet their responsibilities as plan fiduciaries. Our practice specialty helps employers ranging from those who don’t have a plan but want to start one, to those who want to wind down a defined benefit plan, to business owners who have a plan they want to evaluate and possibly improve. We can show them how to improve the retirement options for their employees. We also can help develop strategies for employers or partners in professional firms that allow them to maximize the savings and minimize the tax impact for their own retirement. We also provide benchmarking studies to ensure that plans comply with Department of Labor requirements that a plan benchmark all the service providers and fees every two to three years. We can do these benchmarking studies on a project basis, even for employers who love everything else about their plan. A well-designed and well-executed retirement plan benefits everyone and helps improve productivity and, ultimately, the quality of life in retirement. If you have questions about a corporate retirement plan, non-qualified executive benefits or any insurance or wealth management need, contact us at 847-572-0813 or acohn@bensman.com. 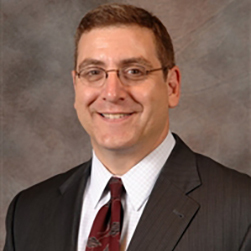 Andrew D. Cohn is Director, Corporate Relationships, for The Bensman Group.